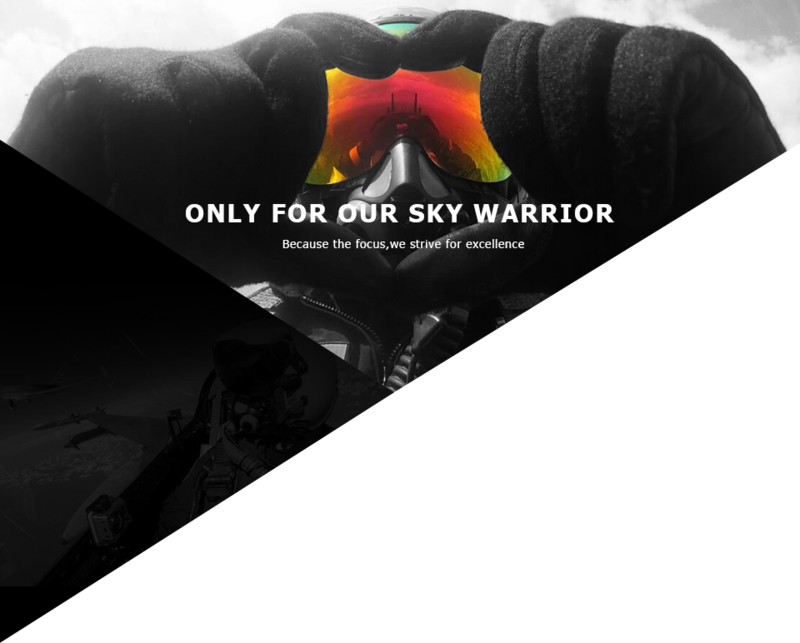 We were founded in 2012, a young, innovative high-growth technology company, committed to development and production of aviation personal protective equipment (PPE) and has been recognized by the military customers. Decreased or eliminated the symptom of eye fatigue and so on. Provides 99% protection from damaging UV(A), UV(B) and UV(C) sunlight.